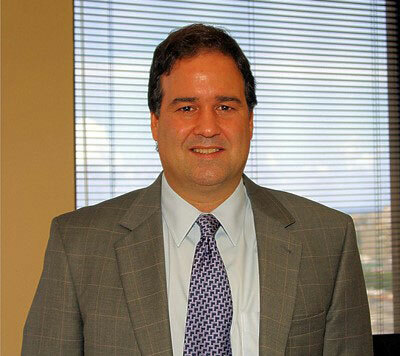 Attorney Profiles :: Personal Injury, Medical Malpractice, Products Liability and Civil Rights Practice in Puerto Rico. In 1982, he won the first of several cases in the Supreme Court of Puerto Rico in a trademark infringement case, establishing the precedent in Puerto Rico to date on this issue of law, while reversing the Superior Court of San Juan. In 1991 Efron tried to fruition cases which brought record verdicts in two different areas of expertise - a judgment in an eminent domain case in excess of $5 million and a record jury verdict in federal court in a medical malpractice case in Puerto Rico involving a single plaintiff, a record which stood until he himself obtained a larger award in a 1997 and later in a December 2017 jury verdict on another Medical Malpractice case trial. In February of 1997 his legal team tried in the State Courts of Puerto Rico a brain damage case which resulted in the highest award in the history of the island's courts - $4.8 million. He has been mentioned in connection to legal cases in USA Today, the Associated Press wire, newspapers nationally and locally, radio and television. He has been interviewed on NBC's Inside America's Courts (Court TV) among several national programs. In 1996 he appeared at televised Senate hearings to successfully oppose the passing of laws for malpractice reform which would have severely affected the rights of victims in Puerto Rico. He has also appeared featured in local and national newspapers as well as in international publications. Efron is a member of the Commonwealth of Puerto Rico, District of Columbia and State of New York bars and the firm has a (Coral Gables), Florida office. Since January of 1990, David Efron has also been the head of the family’s real estate holdings and over a dozen active corporations. He presently serves on the Board of Governors (2005-2019) of The Association of Trial Lawyers of America (now American Association for Justice), has been inducted into the prestigious Multi-Million Dollar Advocates Forum (2010) and is a member of the American Bar Association, the Federal Bar Association and a past member of the Board of Directors of the Homebuilders Association (1992-2002). In the past he has served on AIPAC's National Council ('88-'96) and Executive Committee ('98 - '09); President of UJA of Puerto Rico ('84-'94) as well as Chairman ('83-'84; '95-'01); Served as General Counsel to the Hispanic Caucus of the DNC ('04-'06) and was on the original Board of the Puerto Rico MaxiBasketball Federation, as well as playing on the Puerto Rico Masters National Basketball team 50+ since 2004. He also actively participates in several national political and community charitable organizations. David Efron was designated Honorary Consul for Israel in Puerto Rico on November 11, 2013 and his credentials received by the government of Puerto Rico on September 29, 2015. His appointment is through 2022. He is Israel’s first and only Honorary Consul in the United States. He serves on the Board of the Consular Corps of Puerto Rico. Alberto J. Pérez-Hernández manages the day-to-day operations and is also chief legal counsel to Efron Associates, a real estate development group of affiliated companies. Mr. Pérez was born in Havana, Cuba on November 29, 1953. He is a 1977 graduate of Tulane University School of Law in New Orleans, Louisiana. He also did his undergraduate studies at Tulane, receiving a bachelor of science degree in psychology in 1975. His post-graduate law studies include participation in Harvard Law School's summer programs for lawyers and numerous continuing legal education seminars and conferences. Mr. Pérez is admitted to practice in all courts of the Commonwealth of Puerto Rico and the State of Florida, the United States Court of Appeals for the First Circuit, the United States Court of Federal Claims and the United States District Court for the District of Puerto Rico. 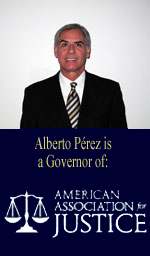 He is a member of the Florida Bar (1977), the “Colegio de Abogados de Puerto Rico” (1978), the Association of Trial Lawyers of America now The American Association for Justice (AAJ), where he serves as governor since 2007 until 2013 and the Federal Bar Association. Mr. Pérez has been actively engaged in private practice since graduation. He has substantial experience in the preparation, trial and appeal of a wide variety of civil cases before state and federal courts and government agencies, including the areas of personal injury, medical malpractice, civil rights, construction, insurance and commercial law. He is also thoroughly familiar with all aspects of real estate, financing and commercial transactions. Carmen Yamel Santiago Nazario was born in Bayamon, Puerto Rico on November 6. She obtained her Juris Doctor from the Pontifical Catholic University of PR where she graduated with honors and was part of the Dean's List. 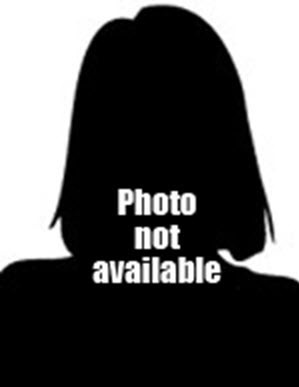 In addition she was Assistant Professor in Family and Commercial Law. She was a member of the editorial board and Legal Education to the law review "Revista de Derecho Puertorriqueño". Attorney Santiago attended her undergraduate studies at Medical Sciences Campus University of Puerto Rico where she obtained her Bachelor degree in nursing and practiced said profession in a Children’s hospital in San Juan, PR. Prior to joining the Law Offices of David Efron P.C., Attorney Santiago worked in the Legal Departments of various hospitals in Puerto Rico in addition to practicing family law. She is the only member in Puerto Rico of the American Association of Nurse-Attorneys (TAANA). Etienne Totti del Toro, born in San Juan, Puerto Rico; admitted to bar, 1998, Puerto Rico, U.S. District Court, District of Puerto Rico and U.S. Court of Appeals, First Circuit. EDUCATION: University of Michigan (B.F.A., 1993); Interamerican University of Puerto Rico Law School (J.D., 1997). MEMBER: American Bar Association; Federal Bar Association. LANGUAGES: Spanish and English. PRACTICE AREAS: Contracts, Torts, Media Law and Libel, Litigation, Corporate, Financing, Real Estate, Labor, Administrative Law, Foreclosures, Banking Law, Notary Law. Marta Irene Feliciano-Montilla (787) 753-6455 Ext. Marta Irene Feliciano-Montilla obtained her Juris Doctor degree at the Inter American University Law School. She is a Licensed Attorney in Puerto Rico State Courts, U.S. District Court - Puerto Rico, and the U.S. Court of Appeals - First Circuit; she is also a Notary Public, and Real Estate Broker. As a licensed lawyer with twenty years of litigation experience, Marta as advised and represented individuals, businesses, and government agencies on legal issues or disputes, and have worked for private, corporate, and government legal offices. She has negotiated and litigated legal cases in matters related to real estate, contracts, medical malpractice, ad labor law, amongst others.